San Francisco is an ideal base for exploring all that Northern California has to offer. From the granite rock formations in Yosemite National Park to the rolling vineyards of Napa Valley, here are our top picks for trips from the city. Just a 20-minute drive across the Golden Gate Bridge sits the charming seaside town of Sausalito, where you'll find a number of waterfront shops and restaurants, and the Muir Woods National Monument, home to a grove of ancient redwood trees. If you're looking to escape the city without wandering too far away, these are your spots. 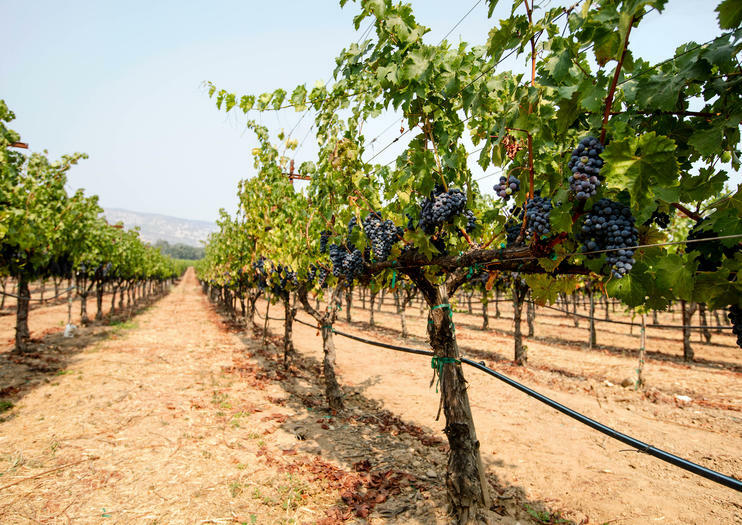 Considered one of the world's premier travel destinations for the famous vineyards and wineries, the Napa and Sonoma area offers stellar countryside views at every twist and turn. Hop between wineries for samples and production tours, or stop in at one of Napa's world-famous restaurants. Wine lovers can choose a tour with roundtrip transport from San Francisco to wine taste as they please. To experience the famous California coast, head down to Monterey and Carmel and cruise the scenic 17-Mile Drive. From hot spot to hot spot, you'll get stellar views along the Pacific Coast Highway with the option to spend free time in Monterey to see highlights such as Cannery Row and the Monterey Bay Aquarium. By booking a coach tour, you can sit back and leave the rocky coastal drive to your guide. This national park is one of the United States' greatest natural treasures. In nearly 1,200 square miles of untouched wilderness, the valley offers numerous hiking trails featuring giant sequoias, colorful meadows, salmon streams, and the massive granite formations of Half Dome and El Capitan. You can't visit California without exploring Yosemite, and a day trip from San Francisco is a convenient way to get a taste of the great outdoors.